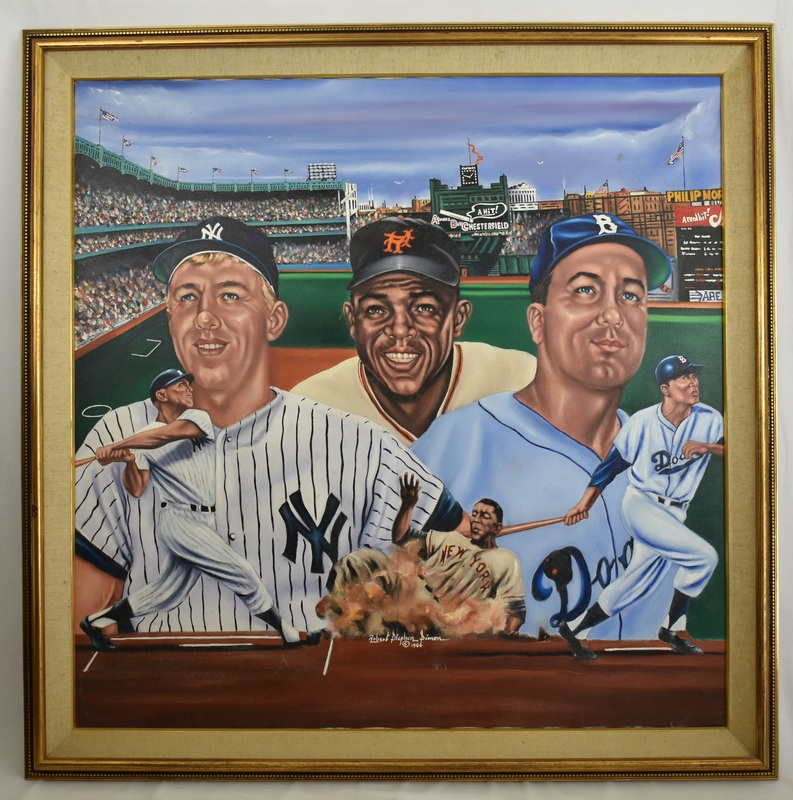 This majestic original oil painting was created by Robert Stephen Simon in 1986 and features legendary New York center fielders Mickey Mantle of the New York Yankees, Willie Mays of the New York Giants and Duke Snider of the Brooklyn Dodgers. This stunning original oil painting measures 46x50 and has been attractively framed and dated by Simon himself. Mr. Simon's work has won many prestigious awards and has captured the imagination of collectors all over the world, including the White House. The Eagle Club of Washington, D.C., The International Society of Artists, The Baseball Hall of Fame, and many private collectors including The White House collections of former President George Bush and President Barrack Obama. 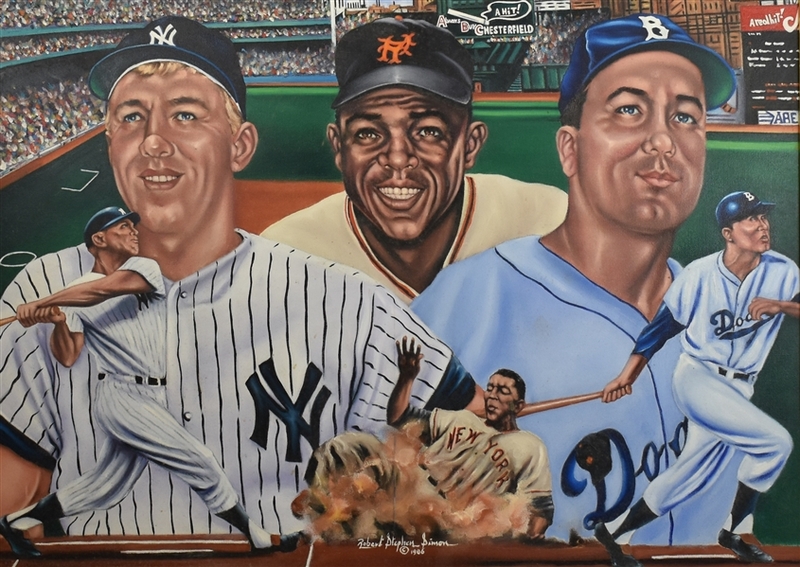 Simon was artistically diverse, had a wide array of interest and has always been very popular among sports collectors and enthusiasts. This is one of Simon's more popular pieces of original art and is know as "Mickey, Willie & The Duke". Simon counted many famous people among his friends, from George Steinbrenner and Mickey Mantle to Duke basketball coach Mike Krzyzewski. Mr. Simon passed away back in 2014 and his work remains revered by many and his originals command premiums. Truly a unique and historic work of art.